The bewildering choice and the ever increasing number of Linux distributions can be confusing for those who are new to Linux. This is why this page was created. It lists 10 Linux distributions (plus an honourable mention of FreeBSD, by far the most popular of all of the BSDs), which are generally considered as most widely-used (directly or indirectly) by Linux users around the world. There are no figures to back it up and there are many other distributions that might suit your particular purpose better, but as a general rule, all of these are popular and have very active forums or mailing lists where you can ask questions if you get stuck. Ubuntu, Linux Mint, and MX Linux are considered the easiest for new users who want to get productive in Linux as soon as possible without having to master all its complexities. On the other end of the spectrum, Arch Linux, Gentoo, and Slackware Linux are more advanced distributions that require plenty of learning before they can be used effectively. openSUSE, Fedora, Debian GNU/Linux can be classified as good "middle-road" distributions which are often used as the basis for other distributions. 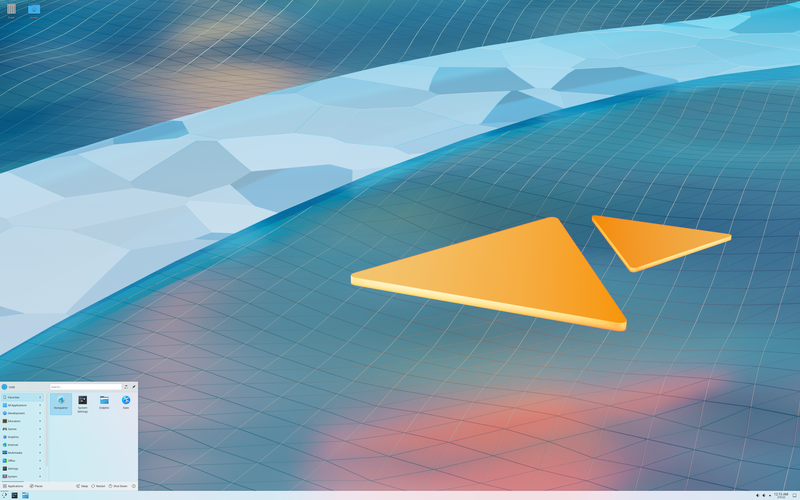 CentOS is an enterprise distribution, suitable for those who prefer stability, reliability and long-term support over cutting-edge features and software. Linux Mint, a distribution based on Ubuntu, was first launched in 2006 by Clement Lefebvre, a French-born IT specialist living in Ireland. Originally maintaining a Linux web site dedicated to providing help, tips and documentation to new Linux users, the author saw the potential of developing a Linux distribution that would address the many usability drawbacks associated with the generally more technical, mainstream products. After soliciting feedback from the visitors on his web site, he proceeded with building what many refer to today as an "improved Ubuntu" or "Ubuntu done right". 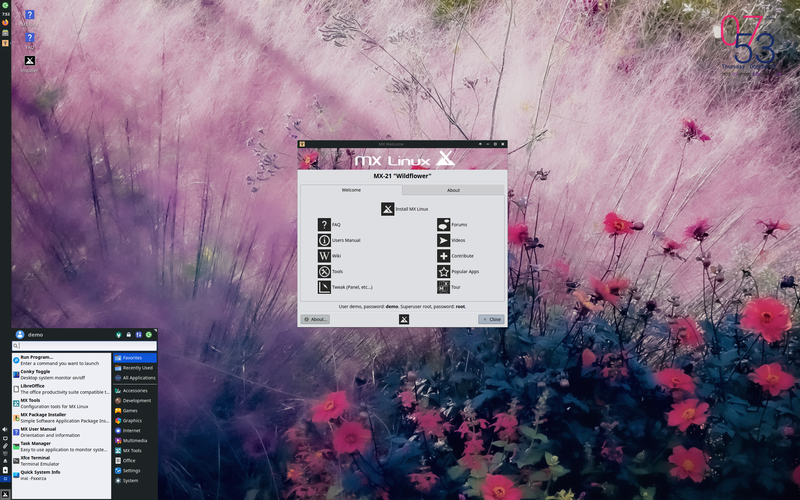 But Linux Mint is not just an Ubuntu with a new set of applications and an updated desktop theme. Since its beginnings, the developers have been adding a variety of graphical "mint" tools for enhanced usability; this includes mintDesktop - a utility for configuring the desktop environment, mintMenu - a new and elegant menu structure for easier navigation, mintInstall - an easy-to-use software installer, and mintUpdate - a software updater, just to mention a few more prominent ones among several other tools and hundreds of additional improvements. The project also designs its own artwork. Mint's reputation for ease of use has been further enhanced by the inclusion of proprietary and patent-encumbered multimedia codecs that are often absent from larger distributions due to potential legal threats. Perhaps one of the best features of Linux Mint is the fact that the developers listen to the users and are always fast in implementing good suggestions. 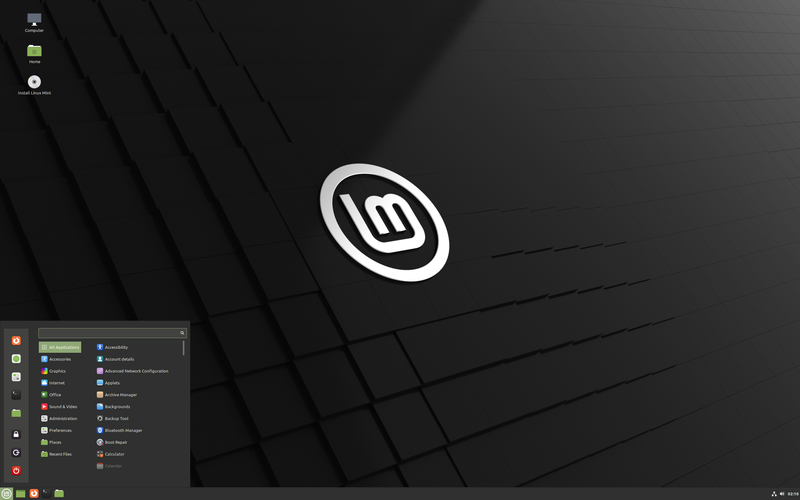 While Linux Mint is available as a free download, the project generates revenue from donations, advertising and professional support services. It doesn't have a fixed release schedule or a list of planned features, but one can expect a new version of Linux Mint several weeks after each Ubuntu long term support release. Another variant of the Mint line-up is a "Debian Edition" based on Debian's Stable branch. The Debian edition of Linux Mint provides a very stable base while the desktop packages are updated more quickly than in Mint's "Main" editions. Linux Mint does not adhere to the principles of software freedom and it does not publish security advisories. The launch of Ubuntu was first announced in September 2004. Although a relative newcomer to the Linux distribution scene, the project took off like no other before, with its mailing lists soon filled in with discussions by eager users and enthusiastic developers. In the years that followed, Ubuntu grew to become the most popular desktop Linux distribution and has greatly contributed towards developing an easy-to-use and free desktop operating system that can compete well with any proprietary ones available on the market. What was the reason for Ubuntu's stunning success? Firstly, the project was created by Mark Shuttleworth, a charismatic South African multimillionaire, a former Debian developer and the world's second space tourist, whose company, the Isle of Man-based Canonical Ltd, is currently financing the project. Secondly, Ubuntu had learned from the mistakes of other similar projects and avoided them from the start - it created an excellent web-based infrastructure with a Wiki-style documentation, creative bug-reporting facility, and professional approach to the end users. And thirdly, thanks to its wealthy founder, Ubuntu was able to ship free CDs to all interested users, thus contributing to the rapid spread of the distribution. 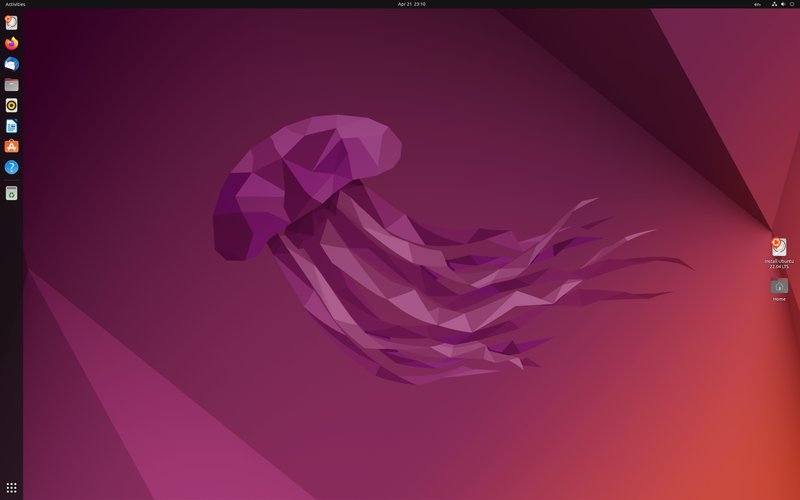 On the technical side of things, Ubuntu is based on Debian "Sid" (Debian's Unstable branch), but with some prominent packages, such as GNOME, Firefox and LibreOffice, updated to their latest versions. It uses a highly customized version of the GNOME desktop environment. It has a predictable, 6-month release schedule, with an occasional long term support (LTS) release that is supported with security updates for five years, depending on the edition (non-LTS release are supported for nine months). 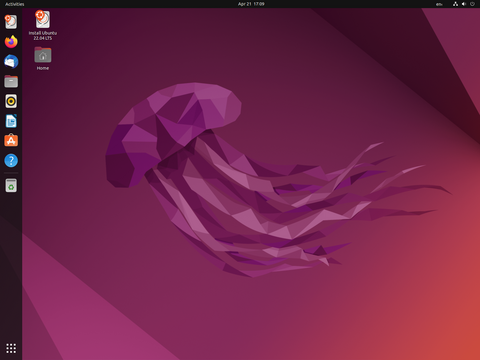 Other special features of Ubuntu include an installable live DVD, creative artwork and desktop themes, migration assistant for Windows users, support for the latest technologies, such as 3D desktop effects, easy installation of proprietary device drivers for ATI and NVIDIA graphics cards and wireless networking, and on-demand support for non-free or patent-encumbered media codecs. MEPIS Linux was a Debian-based desktop Linux distribution designed for both personal and business purposes. It included (for the time) cutting-edge features such as a live, installation and recovery CD, automatic hardware configuration, NTFS partition resizing, ACPI power management, WiFi support, anti-aliased TrueType fonts, and a personal firewall. Though MEPIS Linux was eventually discontinued, its community continued on and merged technology from MEPIS with the very lightweight, Debian-based antiX distribution. 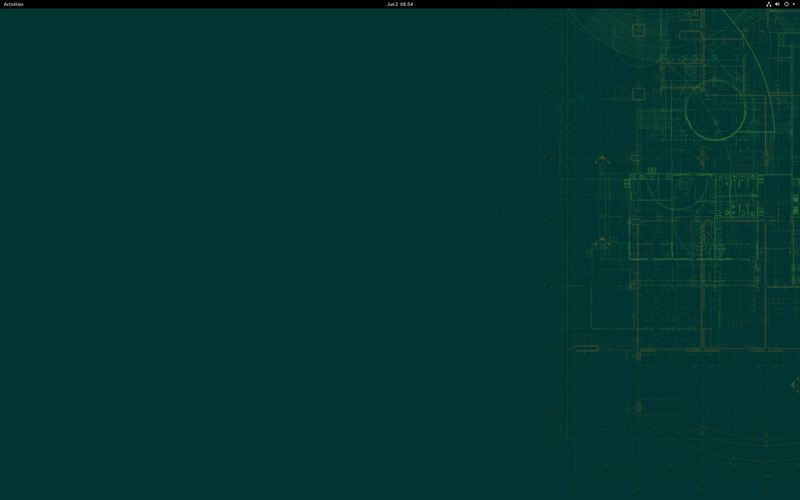 The result is a project called MX Linux. MX Linux is based on Debian's Stable branch and features components developed by the MEPIS and antiX communities. 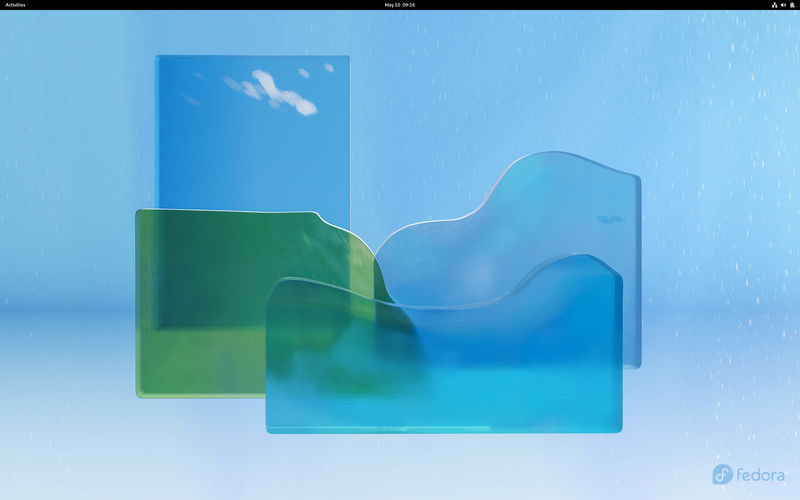 The distribution features the Xfce desktop with a vertical panel layout (instead of the more common horizontal panel). 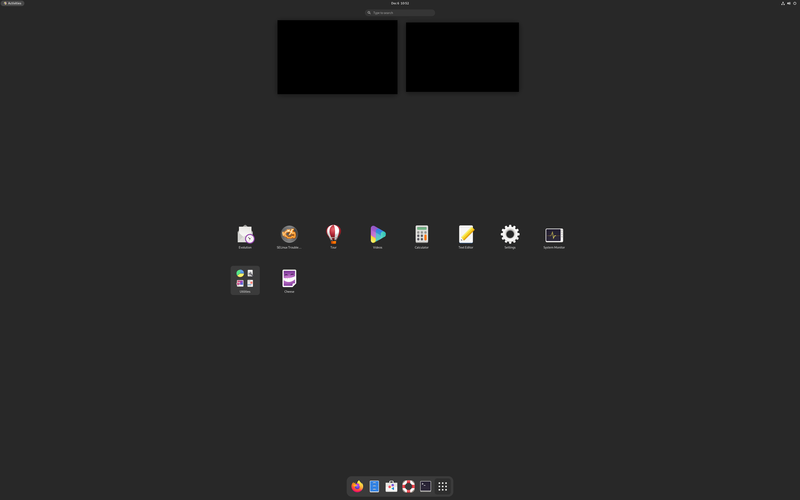 MX Linux is considered a mid-weight distribution that offers many modern applications (which are periodically updated through backports) combined with a stable base. The distribution strives to offer good performance with convenient features. MX Linux is particularly well known for its its collection of graphical administration utilities called MX-Tools. These tools provide easy access to managing user accounts, working with software packages, and installingcodecs. Cons: Installer and some configuration tools look different and can take time to get used to. The KISS (keep it simple, stupid) philosophy of Arch Linux was devised around the year 2002 by Judd Vinet, a Canadian computer science graduate who launched the distribution in the same year. 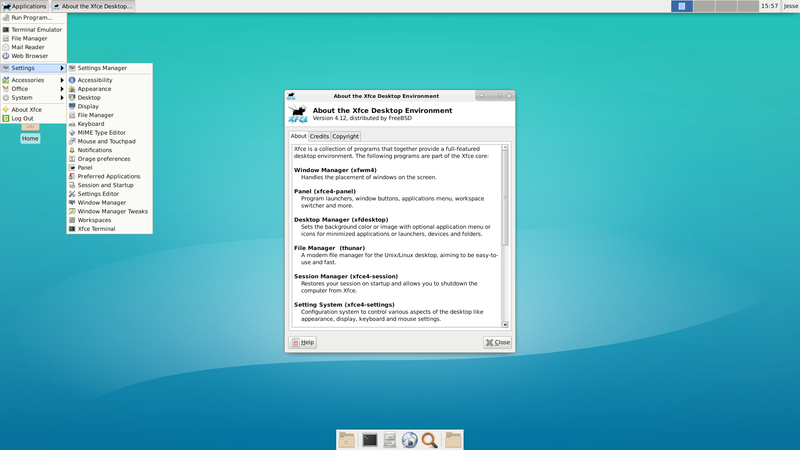 For several years it lived as a marginal project designed for intermediate and advanced Linux users and only shot to stardom when it began promoting itself as a "rolling-release" distribution that only needs to be installed once and which is then kept up-to-date thanks to its powerful package manager and an always fresh software repository. As a result, Arch Linux "releases" are simply monthly snapshots of the install media. Besides featuring the much-loved "rolling-release" update mechanism, Arch Linux is also renowned for its fast and powerful package manager called "Pacman", the ability to install software packages from source code, easy creation of binary packages thanks to its AUR infrastructure, and the ever increasing software repository of well-tested packages. Its highly-regarded documentation, complemented by the excellent Arch Linux Handbook, makes it possible for even less experienced Linux users to install and customise the distribution. The powerful tools available at the user's disposal mean that the distro is infinitely customisable to the most minute detail and that no two installations can possibly be the same. On the negative side, any rolling-release update mechanism has its dangers: a human mistake creeps in, a library or dependency goes missing, a new version of an application already in the repository has a yet-to-be-reported critical bug... It's not unheard of to end up with an unbootable system following a Pacman upgrade. As such, Arch Linux is a kind of distribution that requires its users to be alert and to have enough knowledge to fix any such possible problems. Also, the distribution's rolling nature means that sometimes it is no longer possible to use the old media to install the distribution due to important system changes or lack of hardware support in the older Linux kernel. Gentoo Gentoo Linux is a versatile and fast, completely free Linux meta-distribution geared towards developers and network professionals. Unlike other distros, Gentoo Linux has an advanced, source-based package management system called Portage. Portage is a true ports system in the tradition of BSD ports, but is Python-based and sports a number of advanced features including dependencies, fine-grained package management, "fake" (OpenBSD-style) installs, safe unmerging, system profiles, virtual packages, config file management, and more. Gentoo was started around the year 2000 by Daniel Robbins who envisioned the creation of a meta-distribution which could be set up without pre-compiled binary packages. A Gentoo system is typically set up using a bare minimal set of pre-compiled packages and desired software is compiled and added to the system as needed. Gentoo uses compile-time tweaks (called "use flags") which allows the system to be highly customized, adding or removing features to best suit the situation. The Gentoo project is well known for its flexibility, allowing users to run a wide range of software configurations, kernels, and init systems, as well as the usual collection of desktop environments. The customization and performance which can be gained from Gentoo's ports tree has resulted in the meta-distribution being used as a base for a wide range of other projects including Calculate Linux (a business-oriented distribution), Container Linux (a minimal distribution for running containers), and Redcore Linux (a lightweight desktop distro). Gentoo also serves as the base for Google's Chrome OS platform and is, at the time of writing, probably the fifth most popular Linux-based server platform for websites. Available editions: Install packages are available for a wide range of hardware architectures, including 32- and 64-bit x86, ARM, Alpha, IA64, MIPS, PPC, s390, and Sparc. Slackware Linux, created by Patrick Volkerding in 1992, is the oldest surviving Linux distribution. Forked from the now-discontinued SLS project, Slackware 1.0 came on 24 floppy disks and was built on top of Linux kernel version 0.99pl11-alpha. It quickly became the most popular Linux distribution, with some estimates putting its market share to as much as 80% of all Linux installations in 1995. Its popularity decreased dramatically with the arrival of Red Hat Linux and other, more user-friendly distributions, but Slackware Linux still remains a much-appreciated operating system among the more technically-oriented system administrators and desktop users. Slackware Linux is a highly technical, clean distribution, with only a very limited number of custom utilities. It uses a simple, text-based system installer and a comparatively primitive package management system that does not resolve software dependencies. As a result, Slackware is considered one of the cleanest and least buggy distributions available today - the lack of Slackware-specific enhancements reduces the likelihood of new bugs being introduced into the system. All configuration is done by editing text files. There is a saying in the Linux community that if you learn Red Hat, you'll know Red Hat, but if you learn Slackware, you'll know Linux. This is particularly true today when many other Linux distributions keep developing heavily customised products to meet the needs of less technical Linux users. While this philosophy of simplicity has its fans, the fact is that in today's world, Slackware Linux is increasingly becoming a "core system" upon which new, custom solutions are built, rather than a complete distribution with a wide variety of supported software. The only exception is the server market, where Slackware remains popular, though even here, the distribution's complex upgrade procedure and lack of officially supported automated tools for security updates makes it increasingly uncompetitive. Slackware's conservative attitude towards the system's base components means that it requires much manual post-installation work before it can be tuned into a modern desktop system. Debian GNU/Linux was first announced in 1993. Its founder, Ian Murdock, envisaged the creation of a completely non-commercial project developed by hundreds of volunteer developers in their spare time. With sceptics far outnumbering optimists at the time, it seemed destined to disintegrate and collapse, but the reality was very different. Debian not only survived, it thrived and, in less than a decade, it became the largest Linux distribution and possibly the largest collaborative software project ever created! The success of Debian GNU/Linux can be illustrated by the following numbers. It is developed by over 1,000 volunteer developers, its software repositories contain close to 50,000 binary packages (compiled for eight processor architectures), and it is responsible for inspiring over 120 Debian-based distributions and live CDs. These figures are unmatched by any other Linux-based operating system. 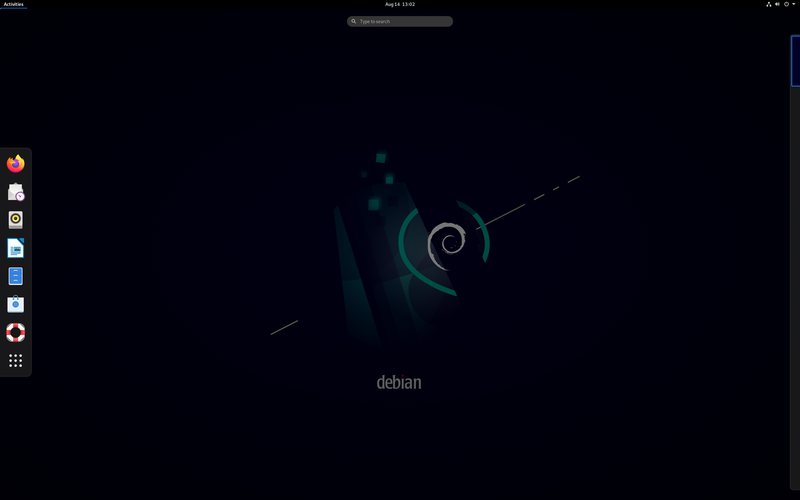 The actual development of Debian takes place in three main branches (or four if one includes the bleeding-edge "Experimental" branch) of increasing levels of stability: "Unstable" (also known as "Sid"), "Testing" and "Stable". This progressive integration and stabilisation of packages and features, together with the project's well-established quality control mechanisms, has earned Debian its reputation of being one of the best-tested and most bug-free distributions available today. However, this lengthy and complex development style also has some drawbacks: the stable releases of Debian are not particularly up-to-date and they age rapidly, especially since new stable releases are only published once every 2-3 years. Those users who prefer the latest packages and technologies are forced to use the potentially buggy Debian Testing or Unstable branches. 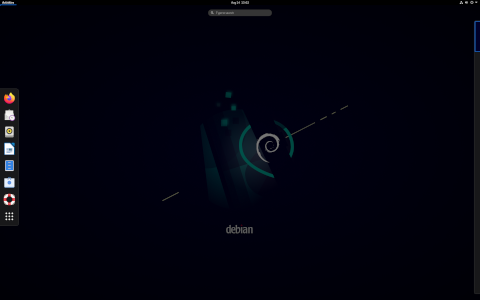 The highly democratic structures of Debian have led to controversial decisions and gives rise to infighting among the developers. This has contributed to stagnation and reluctance to make radical decisions that would take the project forward. In 2003, just after the release of Red Hat Linux 9, the company introduced some radical changes to its product line-up. It retained the Red Hat trademark for its commercial products, notably Red Hat Enterprise Linux, and introduced Fedora Core (later renamed to Fedora), a Red Hat-sponsored, but community-oriented distribution designed for the "Linux hobbyist". After the initial criticism of the changes, the Linux community accepted the "new" distribution as a logical continuation of Red Hat Linux. A few quality releases was all it took for Fedora to regain its former status as one of the best-loved operating systems on the market. At the same time, Red Hat quickly became the biggest and most profitable Linux company in the world, with an innovative product line-up, excellent customer support, and other popular initiatives, such as its Red Hat Certified Engineer (RHCE) certification programme. Although Fedora's direction is still largely controlled by Red Hat, Inc. and the product is sometimes seen -- rightly or wrongly -- as a test bed for Red Hat Enterprise Linux, there is no denying that Fedora is one of the most innovative distributions available today. Its contributions to the Linux kernel, glibc and GCC are well-known and its integration of SELinux functionality, virtualisation technologies, systemd service manager, cutting-edge journaled file systems, and other enterprise-level features are much appreciated among the company's customers. 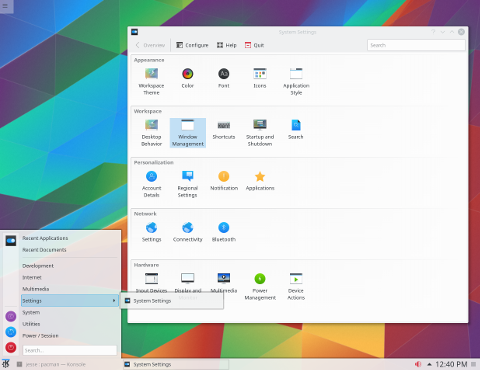 On a negative side, Fedora still lacks a clear desktop-oriented strategy that would make the product easier to use for those beyond the "Linux hobbyist" target. Recent versions of Fedora have introduced a new flavour of the distribution called Atomic Host. Atomic uses the same packages as Fedora's Server edition, but makes sure of atomic updates to the base operating system using OSTree. The beginnings of openSUSE date back to 1992 when four German Linux enthusiasts -- Roland Dyroff, Thomas Fehr, Hubert Mantel and Burchard Steinbild -- launched the project under the name of SuSE (Software und System Entwicklung) Linux. In the early days, the young company sold sets of floppy disks containing a German edition of Slackware Linux, but it wasn't long before SuSE Linux became an independent distribution with the launch of version 4.2 in May 1996. In the following years, the developers adopted the RPM package management format and introduced YaST, an easy-to-use graphical system administration tool. Frequent releases, excellent printed documentation, and easy availability of SuSE Linux in stores across Europe and North America resulted in growing popularity for the distribution. SuSE Linux was acquired by Novell, Inc. in late 2003, then fell into the hands of Attachmate in November 2010. Major changes in the development, licensing and availability of SUSE Linux followed shortly after the first acquisition - YaST was released under the General Public License (GPL), the ISO images were freely distributed from public download servers, and, most significantly, the development of the distribution was opened to public participation for the first time. Since the launch of the openSUSE project and the release of version 10.0 in October 2005, the distribution became completely free in both senses of the word and no longer associated with Attachmate. The openSUSE code has become a base system for commercial products, first named as Novell Linux, but later renamed to SUSE Linux Enterprise Desktop and SUSE Linux Enterprise Server. 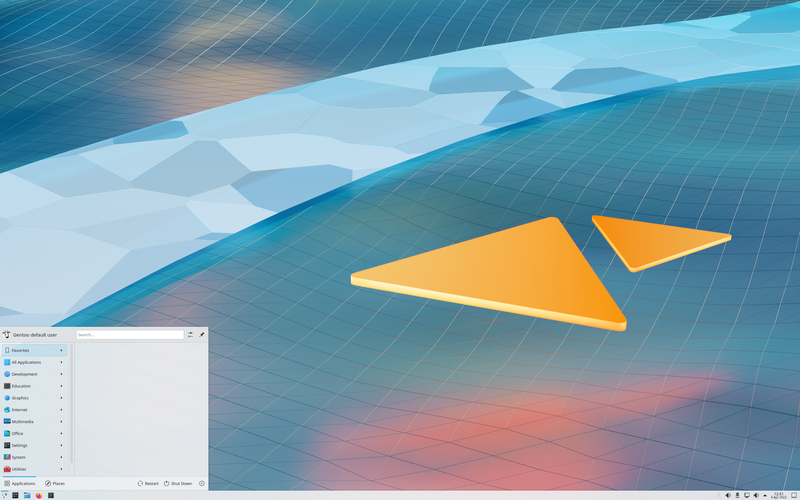 These days openSUSE is available in two main editions - Leap, which provides a stable platform with multiple years of support; and Tumbleweed, which provides a rolling release environment. The distribution often recevies praise for its easy configuration (through YaST), Btrfs advanced filesystem support, and automated filesystem snapshots and boot environments. Cons: Its resource-heavy desktop setup and graphical utilities are sometimes seen as "bloated and slow"
Launched in late 2003, CentOS is a community project with the goals of rebuilding the source code for Red Hat Enterprise Linux (RHEL) into an installable Linux distribution and to provide timely security updates for all included software packages. 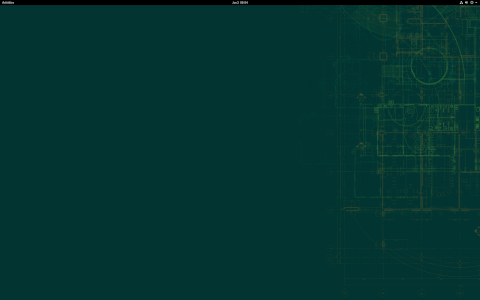 To put in more bluntly, CentOS is a RHEL clone. The only technical difference between the two distributions is branding - CentOS replaces all Red Hat trademarks and logos with its own. Nevertheless, the relations between Red Hat and CentOS remain amicable and many CentOS developers are in active contact with, or even employed directly by, Red Hat. CentOS is often seen as a reliable server distribution. It comes with the same set of well-tested and stable Linux kernel and software packages that form the basis of its parent, Red Hat Enterprise Linux. Despite being a community project run by volunteers, it has gained a reputation for being a solid, free alternative to the more costly server products on the market, especially among experienced Linux system administrators. CentOS is also suitable as an enterprise desktop solution, specifically where stability, reliability and long-term support are preferred over latest software and features. Like RHEL, CentOS is supported with approximately 7-10 years of security updates. Despite its advantages, CentOS might not be the best solution in all deployment scenarios. Those users who prefer a distribution with the latest Linux technologies and newest software packages should look elsewhere. Major CentOS versions, which follow RHEL versioning, are only released every 2 - 3 years, while "point" releases (e.g. 5.1) tend to arrive in 9-12 month intervals. The point releases do not usually contain any major features (although they do sometimes include support for more recent hardware) and only a handful of software packages may get updated to newer versions. The Linux kernel, the base system and most application versions remain unchanged, but occasionally a newer version of an important software package (e.g. LibreOffice or Firefox) may be provided on an experimental basis. As a side project, CentOS also builds updated packages for the users of its distributions, but the repositories containing them are not enabled by default as they may break upstream compatibility. Available editions: Installation DVDs and installable live CDs (with GNOME) for x86_64 processors; older versions also available for i686, Alpha, IA64 and IBM z-series (s390, s390x) processors. FreeBSD, an indirect descendant of AT&T UNIX via the Berkeley Software Distribution (BSD), has a long and turbulent history dating back to 1993. Unlike Linux distributions, which are defined as integrated software solutions consisting of the Linux kernel and thousands of software applications, FreeBSD is a tightly integrated operating system built from a BSD kernel and the so-called "userland" (therefore usable even without extra applications). This distinction is largely lost once installed on an average computer system - like many Linux distributions, a large collection of easily installed, (mostly) open source applications are available for extending the FreeBSD core, but these are usually provided by third-party contributors and aren't strictly part of FreeBSD. FreeBSD has developed a reputation for being a fast, high-performance and extremely stable operating system, especially suitable for web serving and similar tasks. Many large web search engines and organisations with mission-critical computing infrastructures have deployed and used FreeBSD on their computer systems for years. Compared to Linux, FreeBSD is distributed under a much less restrictive license, which allows virtually unrestricted re-use and modification of the source code for any purpose. Even parts of Apple's macOS are known to have been derived from FreeBSD. Besides the core operating system, the project also provides over 24,000 software applications (called ports) in binary and source code forms for easy installation on top of the core FreeBSD. FreeBSD has native support for the ZFS advanced filesystem and supports both snapshots and boot environments. This allows FreeBSD users to safeguard their data and rollback operating system changes. While FreeBSD can certainly be used as a desktop operating system, it doesn't compare well with popular Linux distributions in this department. The text-mode system installer offers little in terms of hardware detection or system configuration, leaving much of the dirty work to the user in a post-installation setup. In terms of support for modern hardware, FreeBSD generally lags behind Linux, especially in supporting cutting-edge desktop and laptop gadgets, such as wireless network cards or digital cameras. Those users seeking to exploit the speed and stability of FreeBSD on a desktop or workstation should consider one of the available desktop FreeBSD projects, rather than FreeBSD itself. 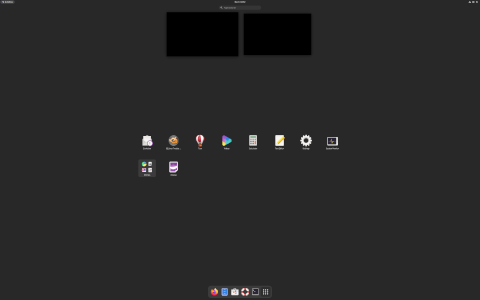 Software package management: A complete command-line package management infrastructure using either binary packages (through pkg) or source-based "ports"
Copyright © 2019 DistroWatch.com. Verbatim copying and distribution of this entire article is permitted in any medium, provided this copyright notice is preserved.